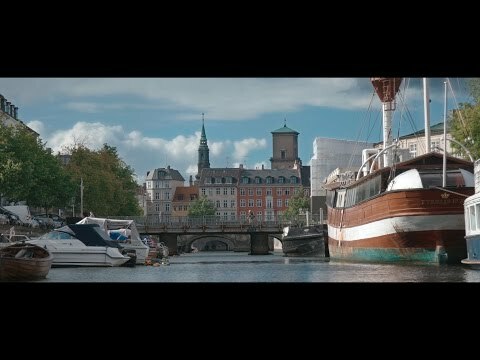 Copenhagen is unique architecture, medieval history, amazing cuisine and fantastic shopping. Copenhagen is also magnificent attractions and world-renowned cultural legacy. The cosy city Copenhagen is distinguished by surrounding water, colourful old houses, parks, cafès and bicycles. Copenhagen, the capital of Denmark, has become a first-class gourmet destination and has a thousand-year-old history. Copenhagen has preserved the city's identity and history which you can see at Kgs. Nytorv, Nyhavn and Østerbro. The main attractions include historical royal palaces as Amalienborg, Rosenborg and Christiansborg and numerous interesting museums, monuments and churches not to forget the much-loved Little Mermaid. In the last decade, Copenhagen has become renowned for its architecture, design, fashion and the 'New Nordic Cuisine' and today Copenhagen has more Michelin-starred restaurants than many other cities. Walk in fairy tale writer Hans Christian Andersen`s footsteps and the philosopher and "Father of Existentialism" Søren Kierkegaard`s. The famous poet, Hans Christian Andersen lived most of his life in the capital of Denmark, and you can find places where he lived and several statues of him in Copenhagen. Copenhagen is clean, safe and ridiculously easy to get to know related to the infrastructure, and a large plus, the locals nearly all speak a good English. Copenhagen has a well-developed public transport system, which means fewer cars and more space to breath in the city centre for walkers and cyclists. Copenhageners go by bike. In Copenhagen, 50% of all use their bike every day, and there are more bikes than inhabitants in the city. There are 400 kilometres of biking lanes, and with 40000 cyclists using them every day, it is one of the world`s busiest biking lanes. Copenhagen has received more international prices as a bike-friendly and green city. Everywhere in Copenhagen, you will find city bikes for rent, which is a recommended green, easy and environmentally friendly way to explore Copenhagen. The boat tours on the canals in Copenhagen is another perfect way to discover the city in the summer. Copenhagen famous for the "New Nordic cuisine." The extraordinary culinary revolution that has taken place here over the last decade has become world famous. For food lovers, Copenhagen, therefore, is a diamond on the world map. You will find great dining options, presenting food from the world famous "New Nordic Cuisine". Try out some of Copenhagen many Michelin restaurants. One of the most famous and rewarded restaurants in the world, Noma Restaurant, is located in Copenhagen, but their current location at Strandgade 93 has now closed permanently, and later they will relocate to a new location in Copenhagen. Visit on one of Europe`s longest shopping streets "Strøget" in the centre of Copenhagen. Check out some of Denmark`s world-famous fashion brands or interior designs. Stay at SKT. PETRI an unique historic 5 star design hotel in the heart of Copenhagen. Welcome to Absalon Hotel, one of Copenhagen’s oldest family owned hotels. In AC Hotel Bella Sky Copenhagen, you will experience Nordic quality, design, comfort and service in exclusive surroundings. Stay in a modern, minimalist and stylish new budget hotel in Copenhagen designed by the famous Danish architect Kim Utzon. Copenhagen's attractions are right on your doorstep, when you stay at Scandic in Copenhagen. Stay at Marriott - one of best locations in Copenhagen right out to Copenhagen`s picturesque harbor. Welcome to Imperial Hotel – where tradition and renewal meet in exquisite unity. Hotel Crowne Plaza Copenhagen Towers is the leading hotel in sustainability. We prove that sustainability does not have to be boring - Crowne Plaza Copenhagen Towers, we combined 4-star quality, comfort and service with innovative sustainable solutions. Quietly located on Kalvebod Brygge you will find the stylish Copenhagen Island with a superb view over the Copenhagen harbour. Restaurant Geranium is founded and led forward by one of the best Danish chefs of all time, Rasmus Kofoed. At AOC we seek to emphasise what is wonderful from our local nature as well as stimulating as many of our senses as possible: Taste, vision, color, and smell are at the centre of the dining experience. Den Røde Cottage was awarded with a Michelin star in 2012 and 2013. You find at Danish Riviera close to Copenhagen. When you go to Copenhagen, you will find a functioning and modern public transport system. Copenhagen is world famous for its biking culture and now officially the first Bike City in the World. With the discount card "Copenhagen Card" you get access to more than 70 museums and attractions.